Antibody Search Engines: What Are Your Options? If you’re a biomedical research scientist, chances are you have a unique personal story about using antibodies. Not only are research antibodies one of the most commonly used research reagents (88% of scientists, to be exact), they also play a crucial role in the reproducibility of any groundbreaking research findings. However, finding the right antibody is like finding a needle in a haystack: There are over 300 antibody suppliers selling over 3 million antibodies, and the successful use of each antibody is highly dependent on the experimental contexts in which the antibody was applied. Moreover, a recent article from Nature reported that approximately 50% of research antibodies do not work as intended, which highlights the importance of conducting proper searches for this critical research reagent. The current gold standard for antibody search is to sift through papers after papers on PubMed and Google Scholar to find published data that supports the use of antibodies. However, these databases were designed to help scientists keep up to date with the latest findings, not for antibody search. * Accurate numbers for Bioz and 1DegreeBio not available. Antibodies.com is an online marketplace dedicated to serving scientists across Europe. In addition to antibodies, Antibodies.com also provide recombinant proteins and biochemicals. Antibodies-online is an online marketplace that provides antibody products globally. Antibody Advisor is a non-profit association developing a unique platform to enable fast and efficient information-sharing on any antibodies used for research. The Antibodypedia database was originally developed in 2008 within the 6th framework EU program, Proteome Binders. 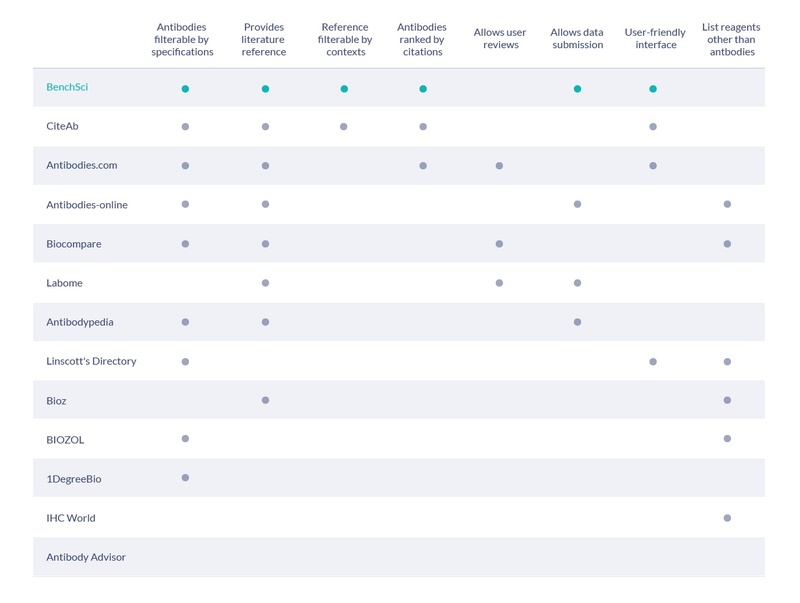 It contains information about publicly available antibodies generated by academic or commercial providers that are directed against human protein targets. The Antibody Registry assigns unique and persistent identifiers to each antibody so that they can be referenced within publications. Founded in 2010, it includes commercial antibodies from hundreds of commercial vendors as well as thousands of individual labs. BenchSci is the newest antibody search engine on this list. Founded in 2015, BenchSci leverages machine learning to read millions of publications and extracts individual published figures showing which and how antibodies were used in the literature. BenchSci received funding support from Google's AI fund, Gradient Venture, in 2018. Founded in 1999, Biocompare is a company that lists a wide range of life sciences research products, from assays kits to biomolecules, from various suppliers. A branch of Biocompare is dedicated to antibodies. 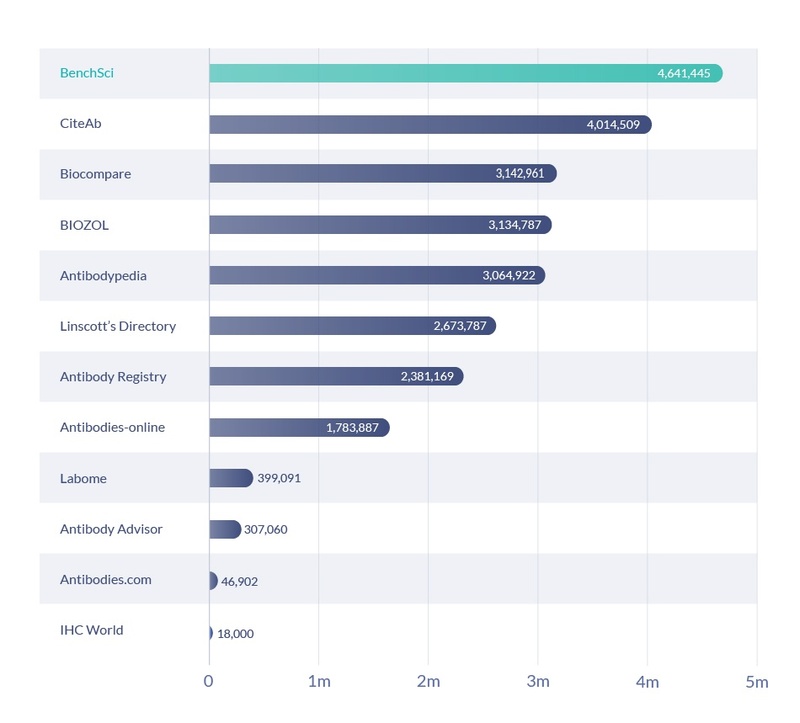 Founded in 2013, Bioz is another search tool on this list that uses machine learning to break down the usage of antibodies in publications. Founded in 1989, BIOZOL is an online marketplace based in Germany that provides a variety of research reagents in addition to antibodies. CiteAb is a biotechnology company spun out of the University of Bath in 2013. 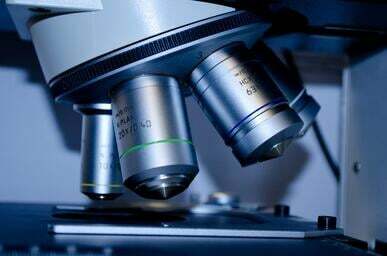 Its search engine ranks antibodies by the number of times they have been cited to help scientist quickly find out the frequency of use in the literature for their antibody of interest. 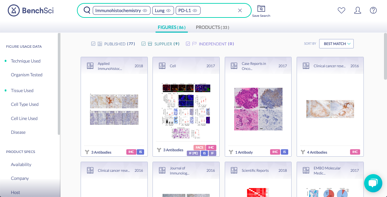 IHC world is an online marketplace that provides research products for immunohistochemistry experiments, ranging from antibodies to fixatives to microscopes. Provides antibodies validated for immunohistochemistry, although the validation data is not shown. Founded in 2009, Labome manually curates antibody applications from selected publications to develop a "Validated Antibody Database." Founded in 1980 by Dr. William Linscott, an Immunology professor at UCSF, Linscott’s Directory is the very first antibody database. 37 years later, the database is still up-to-date and also lists non-antibody products. Antibodies are filterable by product specifications. We live in a time where groundbreaking technologies, such as CRISPR and optogenetics, were developed to accelerate biomedical discoveries. 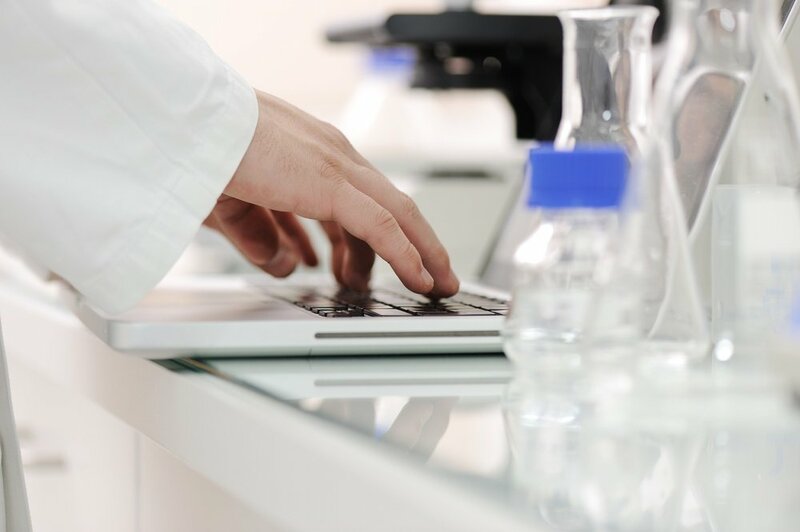 Given the central role of antibodies in biomedical research, it is natural for there to also be technologies that can make the antibody search process more efficient, which is the common goal amongst the antibody search engines listed in this article. 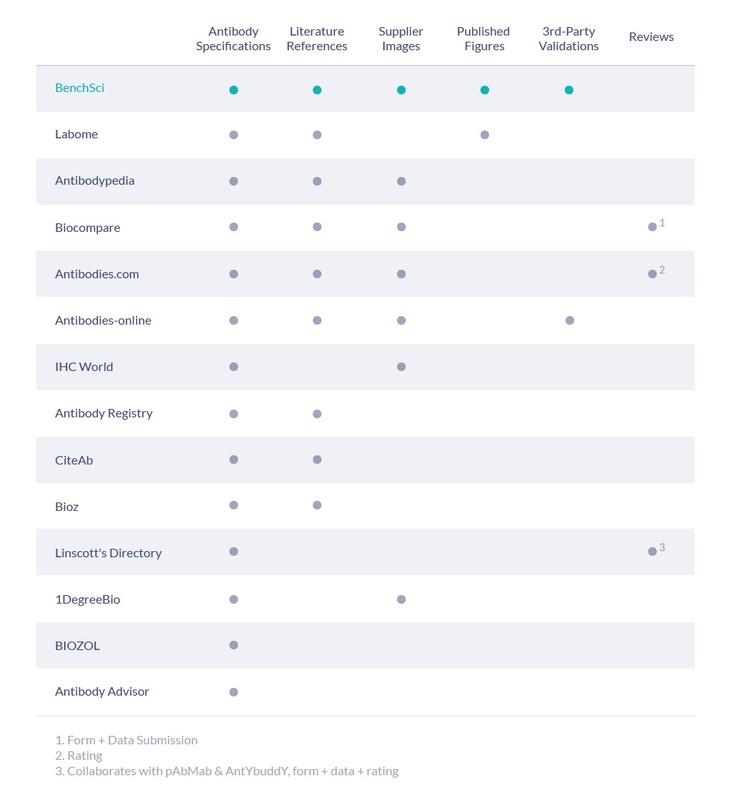 While each antibody search engine has its pros and cons, we're (obviously) biased towards BenchSci, as we've devoted the past two years building it specifically to address deficiencies with existing solutions. It's not perfect, but with feedback from the research community we're working to make BenchSci the best antibody search solution available. We always welcome any suggestions and comments, and we would love to hear from you!